Influencer based selling is on the rise, and there’s no bigger name in the game than Villoid. With the world’s leading ‘it-girl’ Alexa Chung at the helm for all things creative, Villoid uses the power of beautifully crafted imagery curated by its influencer community to sell products that you can’t help but want to add to your wardrobe. 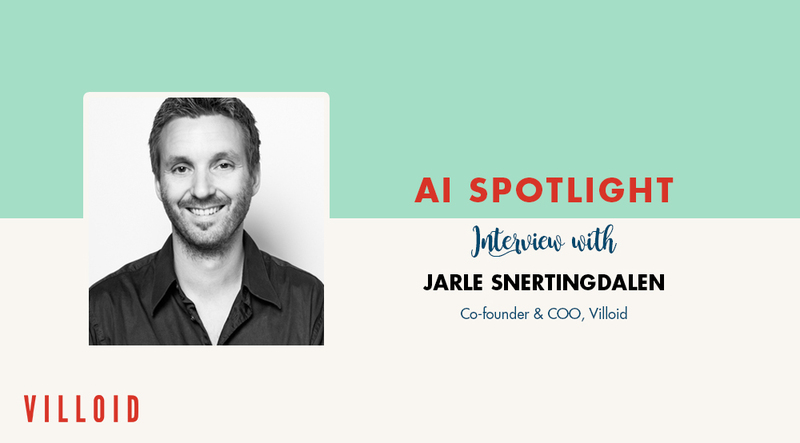 Readying themselves to launch their end-to-end e-commerce website and influencer platform powered by Vue.ai, we talk to Jarle Snertingdalen, the COO and Co-founder of Villoid about the journey of Villoid, how technology is shaping retail, and whether robots are ready to take over the humans! How did the conceptualization of Villoid take place? What was the driving force, or the motivation behind it? We’ve actually just arrived at the next step in our product and business model so I guess we should talk about that as well as how we got to where we currently are. We are solving a problem for influencers where they can set up a shop effortlessly. What we have done is, we’ve built a very scalable e-commerce platform where influencers can sign up and go through our vast inventory and just freely select products to sell directly to their followers. So basically we function a bit like Shopify, only we also handle inventory and customer service. So influencers can literary setup shop on Villoid in a few minutes. Normally if they wanted to set up a site they would have to worry about a lot of things like forming a company, financial setup, design, legal, customer service, inventory management, warehouse, shipping and all these things – which we just handle for them – all of it. On top of that, the Villoid platform makes them part of an influencer marketplace where they will be discovered by shoppers not already following them. We’re looking at Villoid as a turnkey solution, which is not just restricted to influencers curating images and directing consumers to brands or products, but everything that makes a complete online store – fully managed by us. We truly believe that influencers should only have to worry about what they are good at – which is curating great content and styles to their audiences. We’re looking at Villoid as a turnkey solution, which is not just restricted to influencers curating images and directing consumers to brands or products, but everything that makes a complete online store. We saw that there is a big problem where they are using fairly old technology to achieve this – such as affiliate links through Skimlinks and other similar solutions. First of all, there are user experience issues for consumers because they have to continuously log into new services and may even have to create new profiles depending on where they end up when clicking the links. Secondly this model is a problem for influencers, as they end up just sending traffic left, right and centre – only getting one-off payments in return. So why not provide a way for them to open their very own branded e-commerce shops? Then not only will they actually receive a larger kickback from transactions but they will also build their own shopper audience which means returning customers come to them instead of some brand, and will give them a much tighter relationship with their followers. In essence, their audience go from not only being their followers but also being their customers. That makes more sense than trying to make the followers be customers of some other business or brand, doesn’t it? You mentioned that you also handle the inventory associated with e-commerce by yourself. Can you tell us a little more about that? I think over the last few years there has been a wave of new companies that are building front-end systems and doing integrations with merchants and suppliers for fulfilment. So we don’t handle the physical goods directly but we are integrating with the companies that do, so in a way we’re in the drop-shipping space – to remove non-value creating parts of the value chain. I think this is where e-commerce is heading as well. Farfetch has already built a huge business in the UK and Wish is another famous example. They are both different flavours of drop shipping but there are also similarities – you mainly focus on creating great content and user experience and you don’t add warehousing, logistics, and shipping to your core business. You leave that to the suppliers – basically making it more efficient because of the fewer parts in the ecosystem where the goods need to pass through. So is Villoid like an interface between the sellers and the influencers? Where the sellers basically care of logistics, warehousing and more, while the influencers focus on content curation that ties back to the products? That is correct, but there is also a very important distinction. Becoming a connector between supply and demand has been done for a decade already, through affiliate marketing. We are not an affiliate business because we are also taking the checkout experience on the outside, just like Farfetch and Wish and all these companies. I believe this is the future and the consumer does not want to be redirected everywhere and in the future maybe wants to have a great, consistent and predictable user experience instead of being sent to different locations every time you want to click something. We love the Villoid app, especially because the imagery just makes you want to buy stuff! Do tell us a little more about the dynamics of how user acquisition, and how influencer-based buying works at Villoid? The Villoid app is like Instagram, Pinterest and Tumblr in the sense that it is the users who supply the inspirational content. The user acquisition on the Villoid app has mainly been organic. There are many users on it who are not influencers. They have just signed up on the app and love using it. 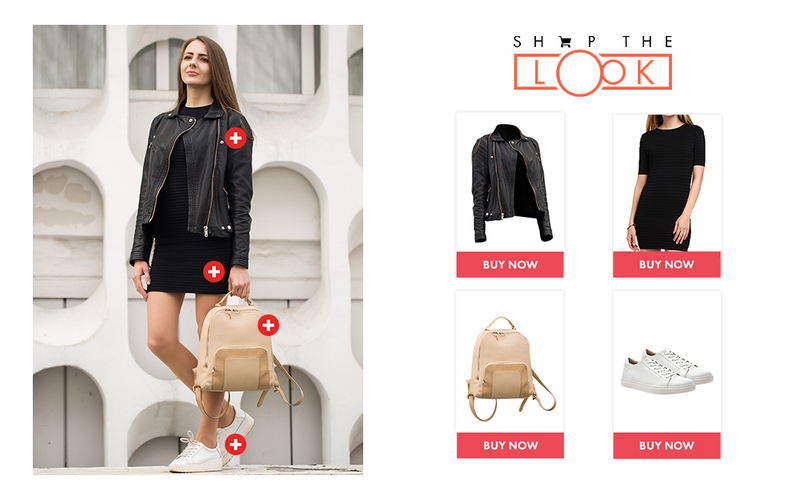 The direct influencer shopping we are working on is currently in beta. So basically, the app is like Instagram, Pinterest and Tumblr in the sense that it is the users who supply the inspirational content. They provide the imagery that is posted, and then they match that with items from products that we have in our inventory. We have over half a million products in our database. Consumers upload anything they want in terms of photography or assets and then they create collages mixing these images with actual real products that can be clicked to buy. You say the collages or boards look amazing – and they do. The community took a very artistic direction when we launched this app back in 2015. Alexa (co-founder and Creative Director Alexa Chung, also a global fashion icon) and some of her style influential friends started creating artistic and stylish collages, and boards. New and also existing users saw them and continued creating similar content. And that’s how our great community was formed – and continued to evolve in that same direction. The community took a very artistic direction when we launched this app back in 2015. Alexa (co-founder and Creative Director Alexa Chung, also a global fashion icon) and some of her style influential friends started creating artistic and stylish collages and boards. You’re in the process of launching a new website, where you’ve been integrating Vue.ai products. Can you tell us a little about your experience so far? The user experience has to be visual. 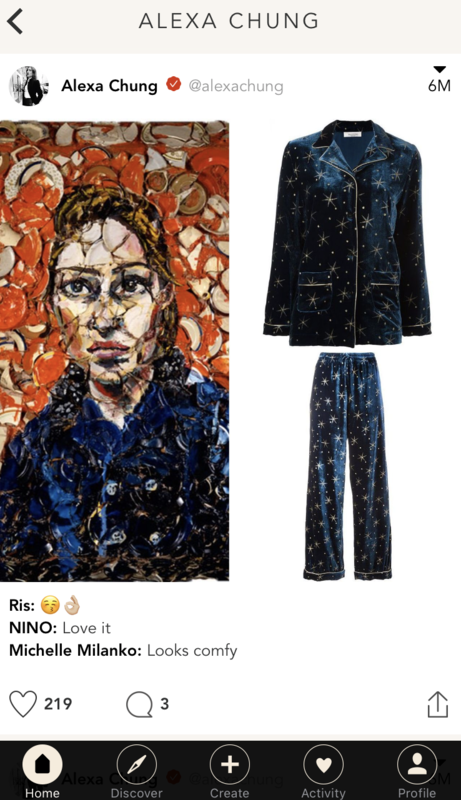 I think text-based discovery is fantastic, but especially in the world of fashion, the focus is going to be less on structured text searches and filters, and more on visual discovery and smart algorithms to recommend stuff to you that you are more likely to engage with. And this is why we chose Vue.ai, because we think you guys are greatly positioned to be at the forefront in solving this problem. Having said that, I am aware that there are quite a lot of companies who are starting to focus on this area. Investment in AI is on the rise, and I think it’s great for businesses like ours that there is competition. The thing is – on traditional shopping sites you need to have a fairly good idea of what you’re looking for. The experience is usually built around structured search, meaning the user needs to have a pretty good idea of exactly what they want. This means you need to have a lot of information up front like names of brands that are likely to have what you are looking for, and it also makes it really hard to discover new brands and content. 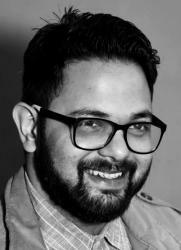 In the world of fashion, the focus is going to be more on visual discovery and smart algorithms to recommend stuff to you that you are more likely to engage with. And this is why we chose Vue.ai, because we think you guys are greatly positioned to be at the forefront in solving this problem. In the future, you will likely be aided visually through browsing styles and be inspired by other people that are relevant to you. Machine-learning powered AI systems will be feeding you that content based on all the information they have on the content you are looking at, the information they have on you and your behavior, people like you and a lot of other parameters. This is great for businesses because they will not need people to do this for them, and at the same time, it is great for the consumers as they all get personalized and relevant content. On a slight tangent here, I think there is almost like a global conversation at least in the start-up community that there’s going to be a lot of automation in the next coming decades. It’s already started and it’s going to accelerate – the level of automation and the distribution of jobs will be affected. So that’s like a large debate going on. The fashion e-commerce industry is no different and you will see how we are just getting started on the whole topic of visual search/discovery and how AI will automate curation and merchandising. In the future you will not have people manually and carefully placing content on a website – it will be machines placing the content, and shaping the user experience. In the future you will not have people manually and carefully placing content on a website – it will be machines placing content, and shaping the user experience. You mention some of the discussions you’ve been hearing on automation, in the start-up industry. Do you foresee a “humans vs machines” type of scenario anytime in the future? This will affect all industries in some capacity, and there is no reason why the fashion/commerce industry should be less affected, so if you want to stay competitive, you have to make sure to follow these trends. It’s been quite a ride for Villoid since 2015. During the course of this journey, were there any technology related challenges that you have faced? I think the Holy Grail in our space right now – which Vue.ai is working on – and something we would like to leverage as soon as it is in a great state – is being able to reliably find shoppable content inside complex imagery. It’s not normal in pictures or videos to have items resting on white backgrounds with perfect lighting and shot from perfect angles. That is a very artificial use case. A normal use case is a picture of a person wearing stuff in their environment which means a busy background. Whoever is the first to analyse those images and videos and really solve finding shoppable content inside will achieve great success, and we want to deliver that sort of experience as soon as possible. Until such time the process will have to be assisted by real people, as consumers will ruthlessly ignore content that is not accurate. I think the Holy Grail in our space right now – which Vue.ai is working on – and something we would like to leverage as soon as it is in a great state – is being able to reliably find shoppable content inside complex imagery. Another challenge is seeing how all the new social platforms are video driven and not image driven – which creates a whole new area for potential information and products, and for making shoppable content. What kind of role do you see Artificial Intelligence playing in retail? Where does AI feature in Villoid’s roadmap? We want to focus on building an e-commerce platform for influencers to reach audiences directly, and for consumers to find inspiring influencers easily and shop their style. There’s enough for us to worry about – so we didn’t want to add to that by also embarking on building out visual search ourselves. There’s a lot of heavy lifting in there and it’s challenging technology to build. It’s not something that we should be doing and we actually look forward to Vue.ai building more products so that we won’t have to build them ourselves. 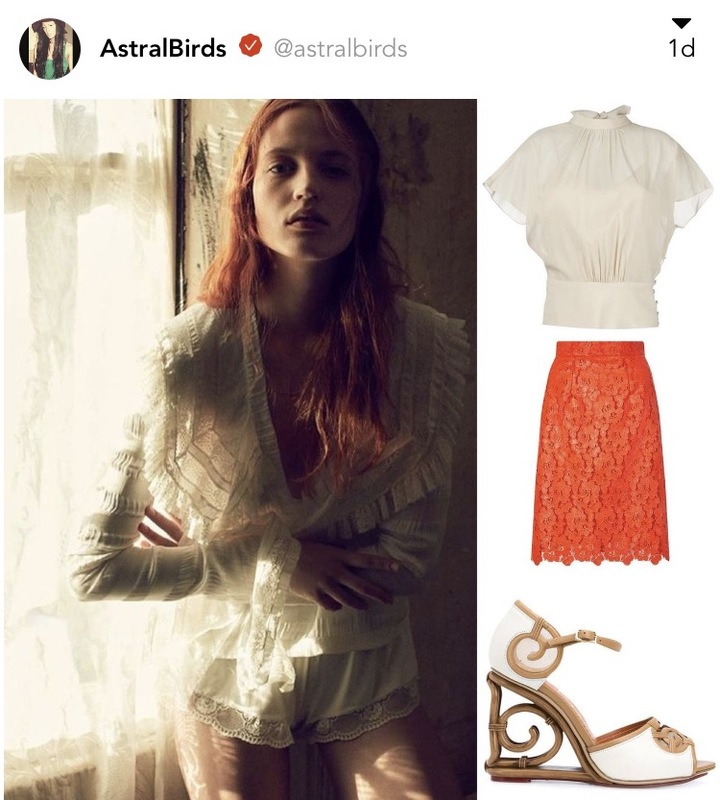 As such – we see Vue.ai as the one-stop-shop for searching shoppable fashion content, visually primarily. We’ve seen how Vue.ai works, and while we get approached by companies with similar offerings to Vue quite often – we believe in you guys. And I guess we all need a little bit of healthy competition, keeping us focused. We see Vue.ai as the one-stop-shop for searching shoppable fashion content, visually primarily.